Pandora's book is the second book Team Run DMC has published. Yet this one is a little bit different than the "Book of Us." 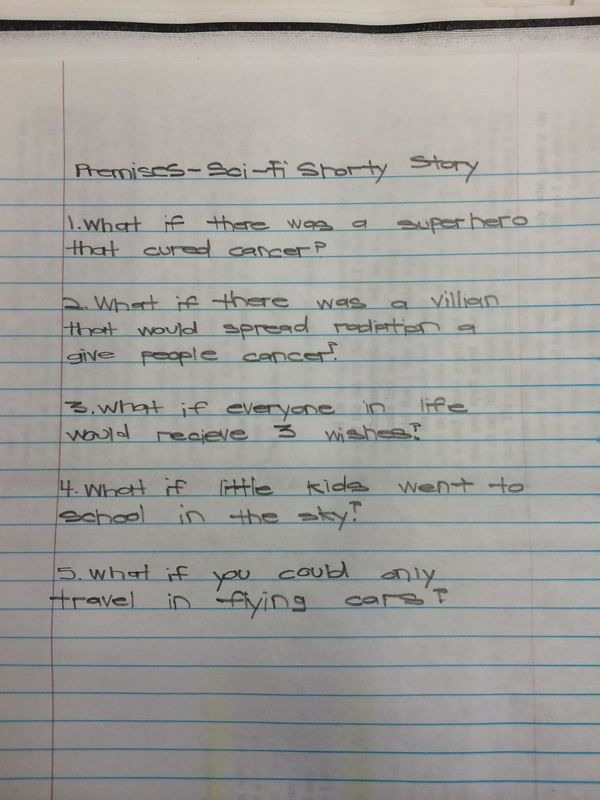 Every single student were able to write anything they wanted as long as it was Science Fiction related. Some wrote about super heros and others about the galaxy, there were no limits. Starting this project I had no clue what I wanted to write about. Then one of my classmates reminded me that we did a project in 9th grade that had to do with Science Fiction. In 9th grade Physics we had to write a comic book, and we decided to write about a super hero that helps cure cancer by using his own radiation. We were never able to write the comic book because of the time that we had. We decided to expand on the story. The best part of writing this story is being able brainstorm. I was excited to add things that don&apos;t even exist. The worst part was figuring out a way that all 3 stories connect. Two other students and I collaborated to make one big story in 3 different point of views. That was difficult for the three of us because everytime we wrote something we all had to make sure it made sense in the other 2 stories. I am proud of my final story and on the idea to write one story with two other students. 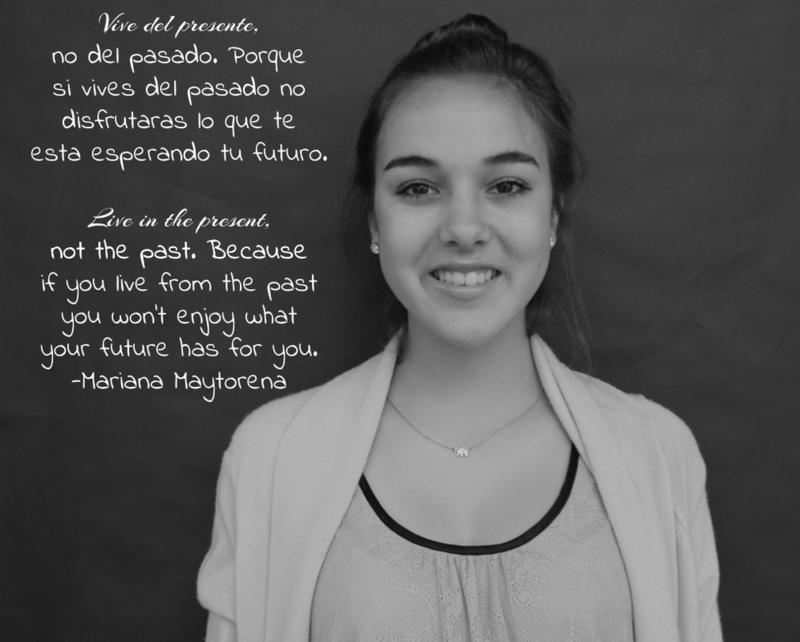 The Book of Us project is a book that was created by 52 students from Team Run DMC. Each and every student wrote a non-fiction piece about something that mattered to us. Every piece was completely different from each other. From an informative piece to a personal experience they've had in their lives. These pieces created The Book of Us. After finishing the free write we started critiquing last years book "We Chose Our Own Adventure." We discussed what we wanted to change in this years book and what we would like to keep. After discussing about how our book would look like, the process of writing our pieces started. My teacher gave us two documents that would help guide us in our work and make it easier for us to come up with potential ideas on what we could write about. The first document was the 1 Topic = 18 Topics. In this document we chose one topic the we wanted to write about and extended that topic into 18 specific topic but that talked about the 1st topic we chose. This piece helped manifest our ideas into a piece that would be potentially be a worthy piece of writing. The second document was our "Real World Writing purposes field guide." This document outlined the several types of non-fiction writing that real world authors use you write their own piece. The next day, class was dedicated to just write free writes based on the "Real World Writing purposes field guide." 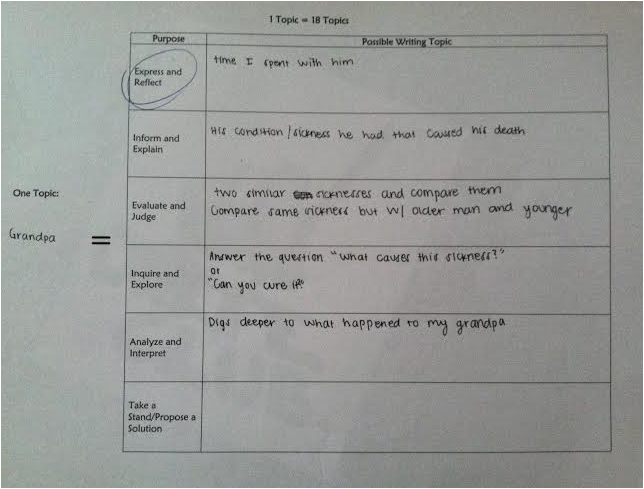 We took 5 minutes for each for topics from the document 1 Topic = 18 topics worksheet. We wrote about out main topic just in a different perspective each time. Once we were done with each of the topics we had a good understanding which topic would be the best one to write about and which ones did not really make sense and were not good writing pieces. When we were all done with the free writes we were able to choose which one of the 18 free writes we wanted to write about. From the one free write we chose, we were able to expand on that and create our Down Draft. After several critiques and revision, a final draft was completed. Looking at the differences, you can tell how much it changed. 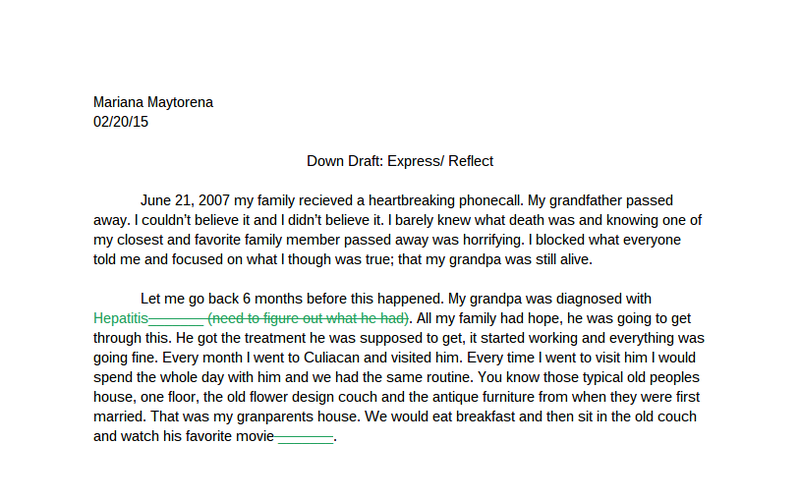 Starting this project i already knew what I wanted to write about, and that was my grandpa. I just did not know exactly how to put what I felt and what I had experienced in words. My piece was critiqued and edited by several of my peers and my two teacher before it got to a piece worth reading. I started by just writing ideas down, and getting my feelings and moments I have experienced with my grandfather. I then decided to start out my first draft. I had some ideas that I wanted to write about. 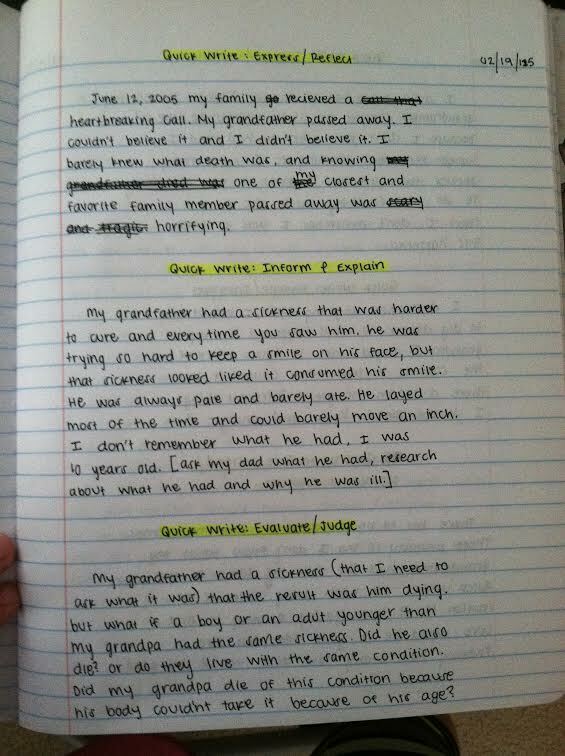 My main idea was writing about a specific moment I had with my grandfather before he passed away. Yet after I thought about it, the reason why I wanted to write about him in the first place was to get his story out, but I didn't exactly know what his story was as you can tell in my first draft. I had to talk to my dad to figure out what exactly he was diagnosed with. After that conversation everything was so much easier. I was able to write my second draft, it was even better than the first. I know felt ready for my peers to critique it and edit it. Each time it was edited by someone else I changed it, and it happened about 10 times. Because of those changes my piece is not the same as when I started. I added the two things I wanted: My grandfathers story, and moments I had with him that I cherished. This project helped in so many ways, and one of those ways is having a different perspective in what I am writing about. The document my teacher shared with us, the 1 Topic = 18 Topics was exactly what I needed to help expand my thoughts. Something I would change about my piece would be being more descriptive. I am proud of my writing but I know that if I added more details it could be even better. The only way I could be more descriptive in my future writing pieces would be by reading more. Each student got into groups of 3-4 and wrote and performed verbatim plays. This plays were based on oral history interviews about crime, punishment and especially innocence. The XONR8 theater project was the second part of the whole project. The first part we used mostly biology for the project and now in the second part it was about writing the play and acting. That had to do more with humanities. This was an interdisciplinary project that used both biology and humanities to have a better understanding how the criminal justice works and what happens when it does not work. Every student got to perform at the Onstage Playhouse in Chula Vista on December 8th. We didn't just perform but we got to be historians, playwrighters, and actors. We got to tell stories that have never been told before and helped the audience see another perspective of the wprld that they have never seen before. We had about 2 months to accomplish this project. From October 27th to December 12th when we closed the project. Now in those 2 months we didn't just write scripts and start acting but we went to a play to learn and have ideas of how we can do our own. We also had an actor come in to our school and talk about how acting is and what actors do before shows. It was a really long process. I thought my group was never going to finish. We started by emailing Alissa en Alex which were the lawyers that had Edward Contreras Case. After the interview we started the interview map and getting pieces from the interview that were useful to create the script. Each group member also had to create an outline of how we wanted the script to look like. After when we decided what we wanted to include on the script we had to transcribe. Transcribing took about a week, but we each split the transcribing and turned out to be faster. After transcribing we all came together and started writing the script. When we finished the script we got both our teachers and some students to listen to our play. We edited and practice. The day of the play we kept editing some more until we finally thought it was perfect. This is the first mini project we have done in the first week of school. In groups of 4, students wrote down 50 questions about humanities and 50 questions about science. From those 50 each student had to choose 6 and then from those 6 choose 1 question and answer it. 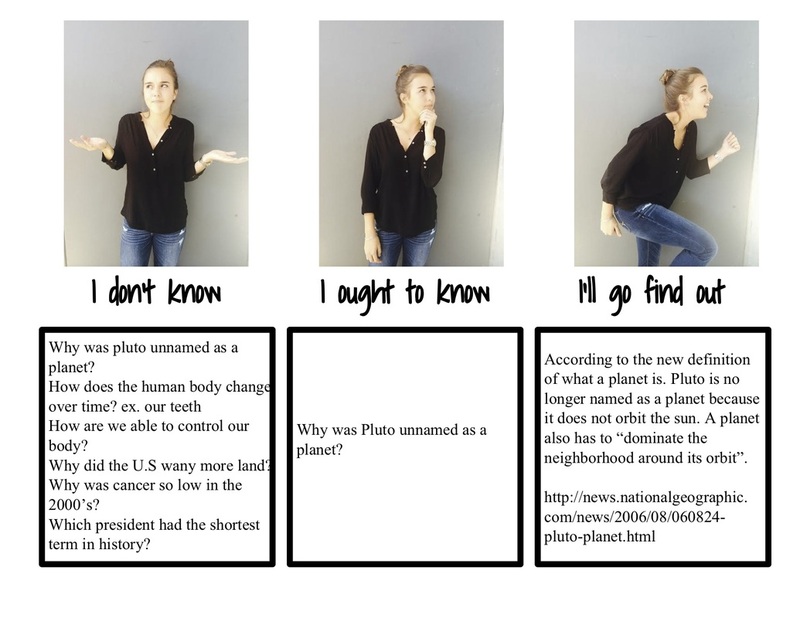 I feel that this mini project did help me, because I never really researched or found out an answer to a question I've had. Now I know that it is better to find out an answer to somethng your are curious about.